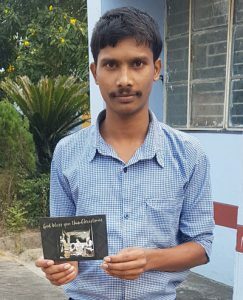 At the end of last year many of you sent us a Christmas greeting for the students at Bankura Vocational Training Centre. We were able to send a parcel of these to India and they arrived on the last day of term, in time to be given out to the students before they left to spend Christmas at home. Thank you for you warm and heartfelt greetings, prayers and messages to love and hope at Christmas. The students were very encouraged by your cards – simply knowing that somebody you’ve never met, on the other side of the world, cares about you is very moving. 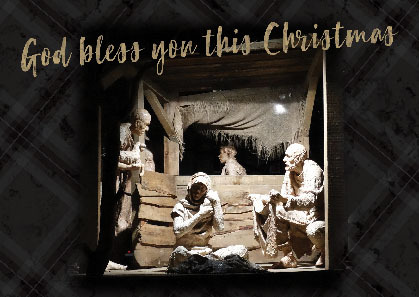 The cards that were sent to India featured a photograph of the Nativity Scene in St Andrew’s Square in Edinburgh.